Walmart's big-ticket acquisition of Flipkart last week brought both bliss and billions to many of the Indian e-commerce company's investors. And while that seemed the case for SoftBank as well initially, it appears that the Japanese investment giant finds itself in a quandary that has exposed possible missteps in its Indian investment strategy — at least in the short-term. As the dust settled on the Walmart-Flipkart deal last Wednesday, media reports suggested that SoftBank was in two minds about selling its stake of around 21% in the Indian firm, which it invested in less than a year ago. A heavy tax burden was cited as one reason for this reluctance to exit despite seeing the value of its $2.5 billion investment skyrocket to $4 billion in less than a year. The possibility of Flipkart's valuation rising even further in the future was another possible explanation. But perhaps SoftBank also contemplated life in India without Flipkart and realised that despite its vast portfolio, there aren't too many candidates for another multi-billion dollar exit in the country over the next decade. The Economic Times put out a source-based report on Monday which said that SoftBank had kicked off talks to invest more money in Flipkart's rival, Paytm Mall. According to the report, if SoftBank exits Flipkart, it could be freed from a clause which restricts it from investing more than $500 million in Paytm Mall until 2020. Last month, VCCircle reported that Paytm Mall was set to raise Rs 2,892.5 crore (around $446 million) from SoftBank and existing investor, Chinese e-commerce behemoth Alibaba. But would that be a prudent investment? "If SoftBank exits [Flipkart], that will mean the end of the road for it in the Indian retail market," said Satish Meena, senior analyst with Forrester Research. "There is no hope for a third player to emerge competing with a Flipkart/Walmart and Amazon." SoftBank's other e-commerce bet — Snapdeal — has not gone according to a plan with the company falling way behind Flipkart and Amazon. SoftBank's efforts to merge Snapdeal with Flipkart failed last year. SoftBank and Walmart declined to comment on the story. Email queries sent to Paytm Mall did not elicit responses till the time of publishing this report. SoftBank has invested across sectors in India's startup ecosystem, with interests ranging from ride-sharing with Uber and Ola to hotels with OYO to online grocers with BigBasket — through portfolio firm Alibaba — and Grofers. But a venture capital investor, who did not wish to be identified, said that barring Flipkart, SoftBank's bets in India have not worked out as well as they hoped. This, despite the fact that SoftBank already owns majority or minority stakes in the top startups in various segments and appears to have hedged its bets by investing in multiple companies in the same space. "Unlike its global bets like ARM, Nvidia, Uber and Didi, which have all become market leaders, in India, the company seems to be struggling to have a clear-cut strategy to find and invest in a market leader that can give it handsome returns," the investor said. For instance, SoftBank has bet on homegrown ride-sharing firm Ola as well as Uber. Setting aside reports that SoftBank wants to merge the two companies, industry experts say the possibility of Ola being bought by a third party and SoftBank getting bumper returns on an exit looks remote at the moment. Paytm and PropTiger (through the Housing.com acquisition) are among the leaders in the space, but SoftBank is not a majority shareholder in these firms (though Alibaba owns a majority stake in Paytm). PropTiger is controlled by News Corp, the parent of VCCircle. OYO appears to be the only company in SoftBank's stable which is a clear market leader, but has a long way to go before it can provide a meaningful exit. "These India bets with billion dollar exits would have sounded attractive to SoftBank in an era prior to its $100 billion Vision Fund," said the venture capital investor mentioned earlier in the story. "Now they need exits of $5 billion or more for any meaningful impact on the larger fund returns. A $200 million investment and $1 billion return will not move the needle for the company and such bets seem non-existent in India for SoftBank." 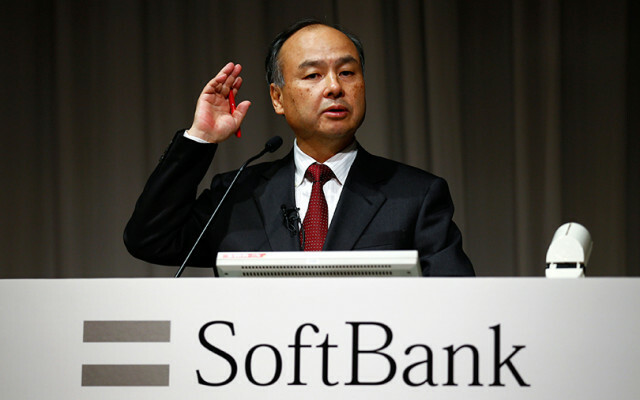 So what might SoftBank do next? Forrester's Meena has one theory. "They would look to consolidate all the investments under Paytm along with the bets made by Alibaba," he said. "They might be working towards creating a mega company by merging Paytm, Paytm Mall, BigBasket, Grofers and Zomato."